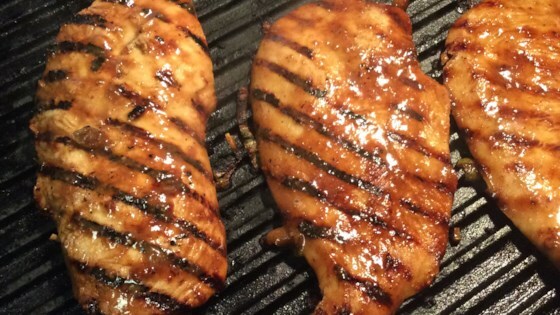 "This marinade is so flavorful there is no need for steak sauce! Use your favorite brand of whiskey. I use Jack Daniels." Stir together the whiskey, soy sauce, Dijon mustard, green onion, brown sugar, salt, Worcestershire sauce, and pepper. If using with beef, chicken, or pork, marinate overnight in refrigerator. If using with shrimp or scallops, marinate 1 hour. This marinade is fantastic! We added 1 Tbsp of minced garlic the second time we had it. Delicious on steaks & roasts! Wouldn't change a thing! Love this! Fantastic!! I've used this with steak and pork, next I'm going to try it on chicken wings! I made this recipe on Saturday for a group of people that we had over and it was a HUGE hit! Great for a crowd when you need to use cheaper cuts of meat. Thanks!